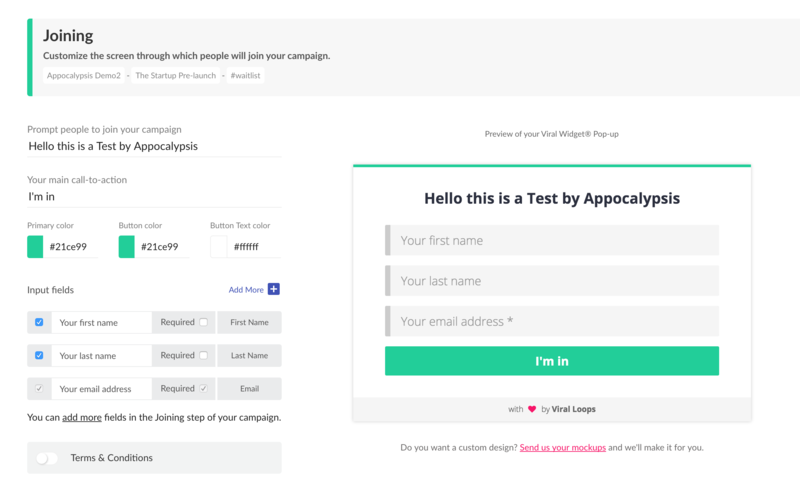 This is a Step by Step guide on how to create a Referral Campaign via Viral-loops and then promote that campaign via Appocalypsis Widgets. First you need to go to Viral-loops and create an Account. Choose one of the three templates and go through all the settings provided by Viral Loops. Below you can see a quick intro on those (Example: #waitlist campaign). Info: Give your campaign a name, add your URL and select how many people will win. Joining: Design how the Viral Loops popup will look like and the input fields that you will be asking your visitors. At this step you can also edit the Copy of the E-mail that users will receive, and you could even add your logo at the top of the e-mail. Select CUSTOM BUILD and navigate to Step 2. This is how the CTA will appear in your Appocalypsis Widget. So make sure you add the Color and Text you wish. You cannot change this via Appocalypsis! At the same step at the top right section you will see something called: CAMPAIGN ID. This is your UNIQUE code for your campaign. This is the only thing you need to add to your Appocalypsis widget in order to retrieve all the Campaign info you just created. If you have an Account just Login, if not, sign up here. It is FREE for up to 10.000 pageviews per month. For this example i selected the Intro Bar for Referral Campaigns. 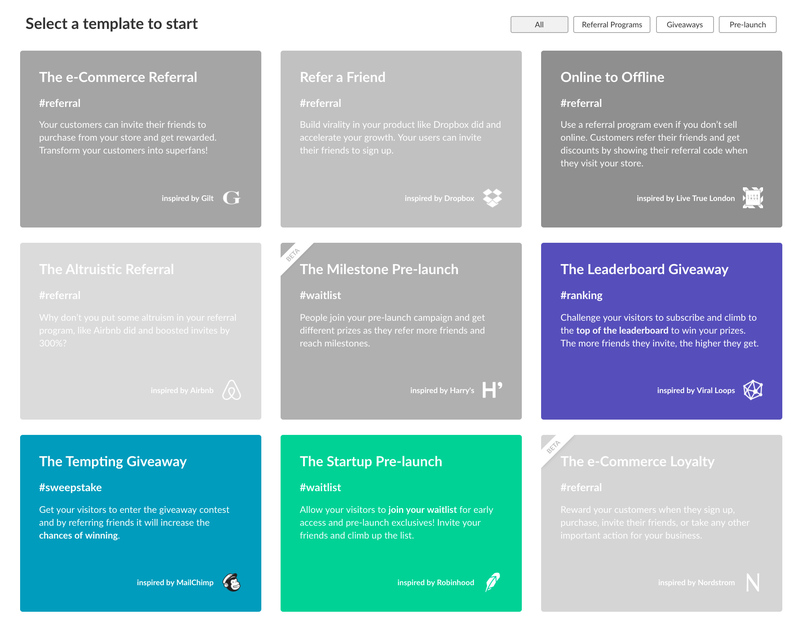 Let's imagine you are launching your product on Product Hunt and you want to show the referral campaign to people visiting your website from Product Hunt. Feel free to change the Copy and the Colors of the Widget. 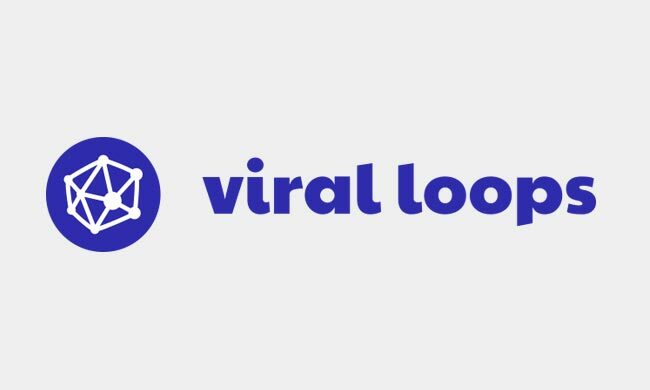 The only action you need to do in order for the widget to be connected to Viral Loops is add the Viral Loops Campaign ID to your Widget (remember? it is in the last step -Installation-). Once you add the Campaign ID you are good to go. Click Save & Close and Activate the widget to your website. The Viral Loops CTA will not show when you are designing your widget. You will have to go to the Web Elements page and click on Preview to see the final Result.